Shop at one of AcceptanceNOW®’s local retail partners, select the merchandise you want, and set up delivery. We’ll buy that item and lease it to you. You simply make affordable monthly payments and enjoy the flexibility of knowing you can own it at any time with our early purchase options. There is no long term obligation. 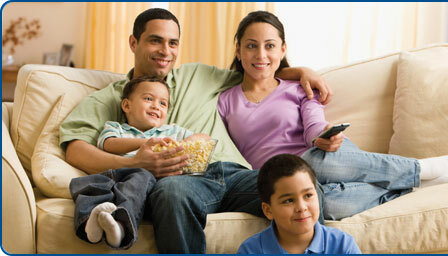 AcceptanceNOW® offers the best brands for your home. From furniture and appliances to computers and electronics, get everything you need to make the most out of your home. 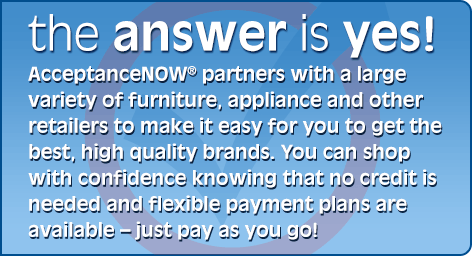 AcceptanceNOW® partners with retailers to help grow their business by increasing sales and expanding their customer base.